Centrally located in downtown Juneau, the historic Best Western Baranof Hotel, was built in 1939 and stands out among all hotels in Alaska’s state capital. Just steps from Juneau’s waterfront, cruise ship docks and boutique shopping, the hotel offers comfortable accommodation after a day of sightseeing. 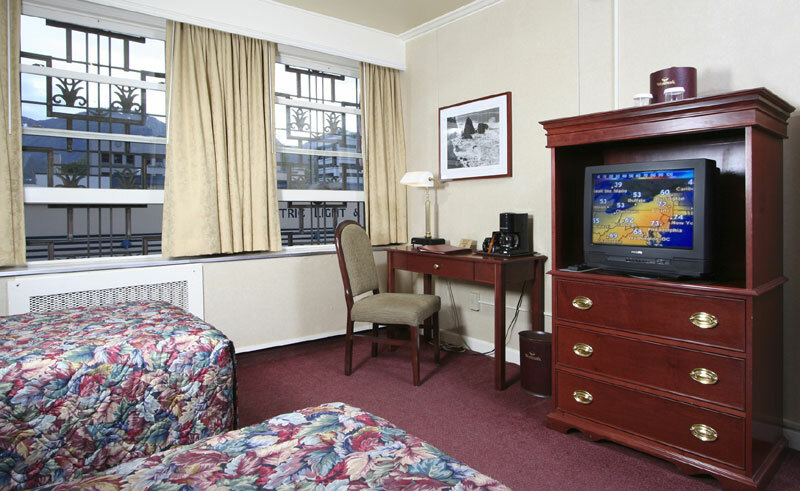 Each of the guest rooms has a private bathroom, TV, phone, hairdryer and coffee maker and wifi is available without charge throughout the building. Featuring original artwork by acclaimed Alaskan artists, the lobby is perfectly set out to meet other guests or catch up with old friends. Hotel staff are friendly, inviting and always willing to lend a hand in organising excursions in the Juneau area, or to offer suggestions on what to see in the city. A restaurant, lounge and cafe provide casual and gourmet dining options, featuring south-eastern Alaskan dishes in generous portions and locally brewed favourites.